This post smashes the keep-it-short rule. In fact, it's like three posts in one! Use the buttons for easy navigation. Premiere Bro will be 1 of approximately 70 editors attending this year's Editors Retreat. Registration is usually limited to 80 applicants, that includes sponsors, alumni, and first-timers. Editors Retreat is intentionally kept small to "help you expand your professional network and build lasting relationships with the other attendees and instructors". It's carefully designed to be a tight-knit and influential group. This post offers tips for getting accepted to Editors Retreat, as well as frequently asked questions and the Premiere Bro Editors Retreat schedule. 1. Edit professionally for 5 years. No shortcuts. Five years is 1,825 days and you have to be editing for paychecks for every one of those days. 2. Bribe your company/boss with the Editors Retreat Goodie Bag. The value of the software, training, and NAB Post|Production World 2016 pass included in the Goodie Bag is worth an estimated $5,000! Technically, that return alone covers the cost of the Editors Retreat registration. 3. Pinch pennies! For the sake of the argument, let's say you have Hulu and Netflix subscriptions and they both cost $10/month. Cancelling one of them will save you $120 a year. If you take the advice of making Editors Retreat at least a three year goal, that's $360. It may not appear much when compared to the registration cost of $3,895, but $360 will cover your plane ticket. That is, of course, assuming you don't spend that extra $10/month on Starbucks. 4. Network! Start by digging into that list of email contacts. Is there anyone who would sponsor your trip? Is there a client who would foot the bill to send you to Editors Retreat in exchange for your services? Asking may not be comfortable, but it won't kill anyone. That would be entirely coincidental. The time will come when you will be able to attend Editors Retreat. But this year, vicariously experience it through Premiere Bro. It's not the same, but it's the next best thing! 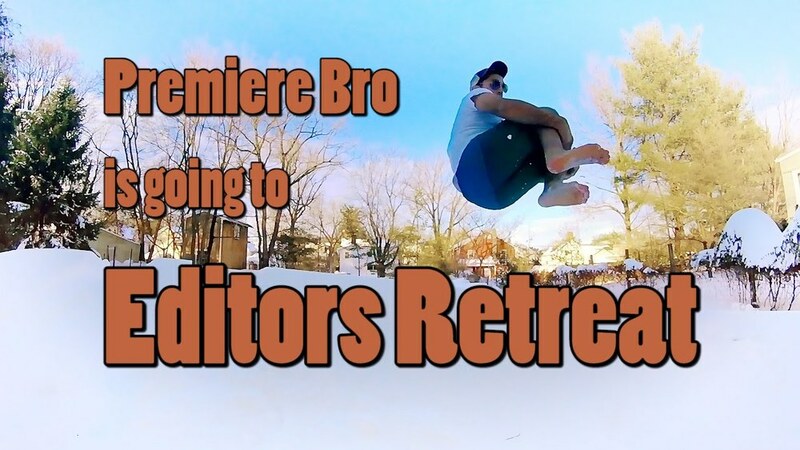 Follow Premiere Bro for Editors Retreat content specifically aimed at future applicants and those not able to attend. Note: Editors Retreat is NLE agnostic. Most Premiere Bro content from Editors Retreat will be relevant to all editors. However, Premiere Bro will be prioritizing Adobe Premiere Pro CC, specifically when it comes to choosing which sessions to cover. Premiere Bro is partnering with Future Media Concepts and Adobe to promote Editors Retreat, inspire future applicants, and create a vicarious experience for those not able to attend. Editors Retreat welcomes Master of Ceremonies, Jeff Greenberg, along with an incredible list of speakers. For questions or concerns regarding Editors Retreat, contact Event Manager, Denise Miller. The 10th annual Editors Retreat is a 6-day training conference reserved for experienced TV, film and video editors. This year, Editors Retreat will be hosted at the Hyatt Regency Tamaya Resort and Spa in Albuquerque, New Mexico. But for those not able to attend, catch Editors Retreat action right here on premierebro.com! There will be a limited-time embedded Twitter feed, following the official #EditorsRetreat hashtag, on the Premiere Portal page. For daily recap blog posts, visit Premiere in Post, the Premiere Pro community news feed. The Editors Retreat provides a one-of-kind opportunity to rub shoulders with other professionals and learn from the best editors in the industry. With the support of Future Media Concepts and Adobe, Premiere Bro aims to inspire young editors (or not young editors) who do not yet meet the requirements to attend the Editors Retreat. Follow Premiere Bro on Twitter for live Tweets from training sessions, peer presentations, and keynote speakers. Follow Premiere Bro on Vine for endless loops of fun and excitement from Editors Retreat. Follow Premiere Bro on Instagram for filtered on-the-scene Editors Retreat moments. Follow the Premiere in Post blog for daily recap posts, which will include curated Tweets, quotes, attendee interviews, and (maybe) a daily vlog. Premiere Bro would like thank Future Media Concepts and Adobe for making this trip possible. Future Media Concepts is a leading producer of education-rich conferences, many of which take place at today’s leading electronic entertainment trade shows. 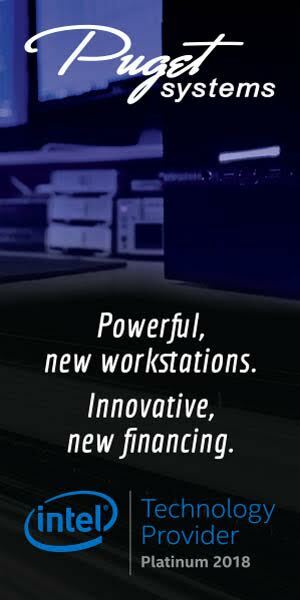 Some of our events include Adobe Video World and Post|Production World at NAB Show. For a complete list of conferences, visit fmctraining.com. If you benefited from this post, please let me know by clicking the heart/like icon below. It is 100% anonymous; no sign in required. Just a click!